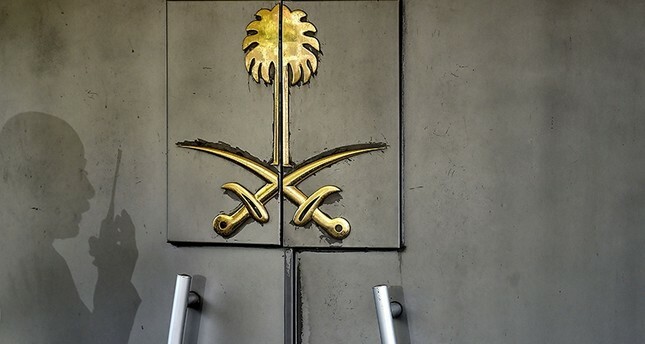 A former top aide to whom Saudi Crown Prince Mohammed bin Salman told he would use "a bullet" on journalist Jamal Khashoggi has been appointed the kingdom's ambassador to the United Arab Emirates. The report naming Turki Aldakhil, former general manager of Saudi-owned Al Arabiya television, was published by The New York Times on Thursday. It alleged U.S. intelligence agencies intercepted a 2017 conversation between Aldakhil and Mohammed bin Salman in which the crown prince threatened to kill Khashoggi if he did not stop criticizing the Saudi government and return to the kingdom. Aldakhil denied the claim in a statement to The Times. On Sunday, Saudi King Salman swore in Aldakhil along with other new ambassadors, according to state-run SPA news agency. Khashoggi, a Washington Post columnist who wrote critically about Crown Prince Mohammed bin Salman, was killed inside the Saudi Consulate in Istanbul on Oct. 2. After denying the killing for two weeks, Riyadh finally described it as a "rogue" operation and arrested a number of senior Saudi officials. Turkey says he was killed by a team of 15 Saudis who strangled him at the mission, and media reports have said his body was cut up and dissolved in acid. Four months on, the slain journalist's body has still not been recovered. Last week, a U.N. expert heading an investigation into the murder slammed the kingdom's obstruction of Turkey's probe following the killing. "Woefully inadequate time and access was granted to Turkish investigators to conduct a professional and effective crime-scene examination and search required by international standards for investigation," Agnes Callamard, U.N. special rapporteur for extrajudicial summary or arbitrary executions, said in statement after a weeklong visit to Turkey. Callamard also said evidence gathered during her time in Turkey showed that Khashoggi "was the victim of a brutal and premeditated killing, planned and perpetrated by officials of the State of Saudi Arabia."